The reported move by the Pakistan government to phase out major restrictions on trade with India by switching to the negative list, and doing away with that too by the end of the year, is wholly welcome. 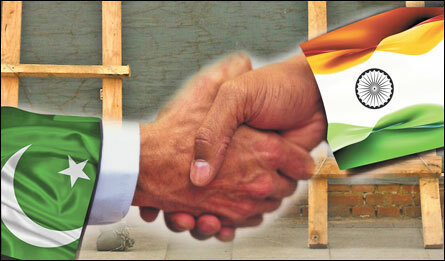 Normalising trade relations with India will help establish a template of wider normalization of mutual ties. An indication of deep-rooted animosities and suspicions which have stymied that goal can be seen in the opposition from quarters within Pakistan to Islamabad’s declared – and logical – aim of granting India the World Trade Organization-compliant Most Favoured Nation status next year. But the arrangement to separate commerce from thornier issues like Kashmir and Pakistan’s actions against those accused of terror attacks against India can lay a foundation for minimising mutual distrust. For New Delhi, this would be in keeping with the idea of engaging various power centres in Pakistan, given the fractured power structure in that country. While being perfectly aware that policy on India, like in other areas deemed to be ‘strategic’ by the military, is mostly determined by the latter, the aim should be to defang and isolate hardline elements by positing the real and tangible benefits enhanced mutual trade can offer Pakistan. And there certainly is ample scope to do that: direct Indo-Pak trade is less than 1% of their global trade; annual mutual trade was around $2.7 billion through March 2011, which, despite being up 50% from the previous year is still measly compared to, say, India’s $60 billion annual trade with China or the potential. But a beginning has been made with Pakistani industry backing the new move, which, in turn, can help allay fears that Indian goods will swamp Pakistani markets. What will happen is the ending of trade routed through third countries (mostly Dubai). Legitimate mutual trade can lead to both countries envisaging cooperation in a wider trading entity comprising Afghanistan and Central Asia, with obvious benefits for regional stability. This might sound utopian for now, but mutually-beneficial commerce does have a way of tempering hostilities. 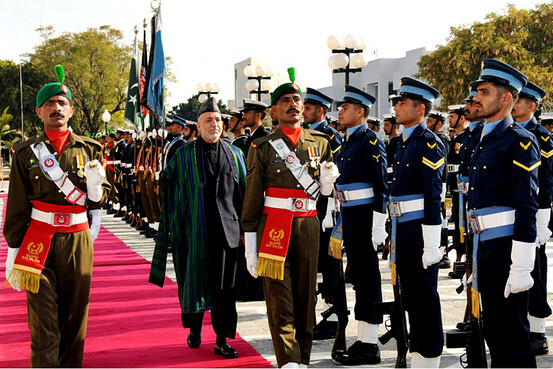 Peace Effort Takes Karzai to Pakistan . Afghan President Hamid Karzai on Thursday met with Pakistan’s leaders, trying to gain Islamabad’s support for his peace outreach to the Taliban, as U.S. officials worked to keep expectations in check about the strategy’s prospects for yielding direct peace talks with the Islamic militant group. The Taliban, meanwhile, denied Mr. Karzai’s claim that they have been negotiating with the Afghan government.On the first day of his three-day visit to Pakistan, Mr. Karzai met with Pakistani Prime Minister Yousuf Raza Gilani, who promised Pakistani cooperation in investigating the September assassination of the chief Afghan peace negotiator and voiced support for an Afghan-led peace process. Pakistan’s Army Chief of Staff Gen. Ashfaq Kayani, who wields considerable influence over the country’s foreign policy, also took part in the talks. In Islamabad, Mr. Karzai reiterated that respect for the Afghan constitution and for women’s rights remain his “crucial conditions” for any future deal with the Taliban. Defense Secretary Leon Panetta, who has been skeptical of reconciliation efforts in the past, at a Thursday news conference lauded Mr. Karzai’s remarks—made in a Wall Street Journal interview—about Kabul’s willingness to engage with the Taliban. Mr. Panetta said he didn’t know whether additional three-way sessions between the U.S., the Afghan government and the Taliban have been planned. “If someone met the Karzai administration representing the Islamic Emirate, he is an impostor,” said a statement by the Taliban leadership, which calls itself the Islamic Emirate of Afghanistan. The Taliban in the past denied reports of peace talks with the U.S., only to confirm them in recent months. U.S. officials have confirmed Mr. Karzai’s remarks, saying at least one three-way negotiating session occurred in recent weeks. Admitting negotiations with Kabul would be fraught will political risks for the insurgent leadership, possibly undermining the morale of Taliban fighters, and weakening the militants’ resolve amid coalition offensives. The intensity of the conflict already declined dramatically in recent months, Afghan and coalition officials say, though it is unclear whether this drop is due to the spreading news about peace talks, unusually harsh winter weather, or a strategic decision by the Taliban to hold their fire as foreign forces withdraw. Pakistan, which U.S. officials say provides shelter and support to the Taliban leadership, plays a crucial role in Afghanistan’s peace outreach. Mr. Karzai’s relations with Pakistan neared a rupture point after the September assassination of former President Burhanuddin Rabbani, the peace negotiator, by purported Taliban peace emissaries. At the time, Afghan officials blamed the killing on Pakistan, something that Pakistani officials denied. Two suspects have since been arrested in Pakistan. The White House wants to show progress on the reconciliation track before a May summit of North Atlantic Treaty Organization leaders in Chicago. There, NATO leaders are expected to announce plans to shift to a train-and-assist mission in Afghanistan in 2013, giving Mr. Karzai’s security forces the lead role in combat operations before most U.S. and NATO troops pull out at the end of 2014. Where Pakistan fits into tentative peace talks with the Taliban remains unclear. The U.S. has not kept Islamabad informed about developments in the peace process, Pakistan civilian and military leaders claim. U.S. and Afghan officials say they are concerned Pakistan might try to undermine peace talks. In January 2010, Pakistan detained a senior Taliban leader, Mullah Abdul Ghani Baradar. Afghan and U.S. officials claim Pakistan arrested him for contacting the U.S. and Mr. Karzai’s government without Pakistan’s knowledge, a claim denied by Pakistan. Afghanistan has asked for Pakistan to transfer Mr. Baradar to Kabul, but this hasn’t happened so far. Pakistani officials deny they back the Taliban. Pakistan will stay on the sidelines in the tentative peace process as long as the U.S. remains distrustful of Islamabad, said Imtiaz Gul, director of the Islamabad-based Center for Research and Security Studies. Pakistan’s ability to play a meaningful part in talks has further been hampered by a deterioration in relations with U.S. after an American helicopter strike in November mistakenly killed 26 Pakistani soldiers along the Afghan border. U.S. officials say they are still trying to hammer out an agreement with Taliban representatives on a sequence of confidence-building measures aimed at laying the ground for any future direct negotiations on ending the war. In addition to the establishment of a political office for the Taliban in Qatar, the U.S. wants the Taliban to issue a statement distancing itself from international terrorism and to agree to stop fighting in certain areas of the country. The U.S., in turn, would transfer of up to five Taliban militants held at the U.S. military prison in Guantanamo Bay, Cuba, to Qatar. Key U.S. lawmakers have raised objections to the prospective prisoner transfers. Officials have identified the five Guantanamo detainees who may be transferred to Qatar as Muhammad Fazl, a former senior Taliban defense official; two former local governors, Khairullah Khairkhwa and Noorullah Nori; former Taliban intelligence official Abdul Haq Wasiq; and top Taliban financier Muhammad Nabi. Messrs. Haq Wasiq, Fazl and Nori were among the first 20 detainees who arrived at Guantanamo Bay 10 years ago, when the prison was opened on Jan. 11, 2002. The U.S. has received assurances from Qatar that the five militants, if transferred, won’t be released by the government or handed over to the Taliban. But officials said the men could be freed later as part of a future Afghan-Taliban peace deal. Trade ties between India and Pakistan are expected to get a boost as New Delhi reaches out to the business community across the border, starting Monday to assure them about the positive impact of normal trade ties. Commerce minister Anand Sharma will undertake a rare journey to Pakistan, leading a large delegation of senior officials and top businessmen as the two hostile neighbours take baby steps to normalise trade and economic relations. The private sector led by industry chambers has put up an “India show”, in Lahore and Karachi – the first ever trade exhibitions from India where over 100 exhibitors are participating. Firms representing pharmaceuticals, textile, gems and jewellery, chemicals and petro-chemicals are showcasing products. The move is a follow up to the efforts to normalise trade ties. The Pakistan government announced granting of Most Favoured Nation (MFN) status to India in November last year. But, criticism from a section of industry in Pakistan has forced Islamabad to take measured steps on the issue. But, officials said they were optimistic that by the end of 2012, the transition to full MFN status would be complete. Officials said they will launch outreach programme to assure businessmen in Pakistan that Indian goods will not swamp the Pakistan market if trade is normalised. “We will tell them that there are enough trade safeguards measures to ensure that Indian goods do not flood the Pakistani market. Let us first liberalise trade and see the impact,” said a senior government official. Pakistan allows exports to India but has a positive list of 1,938 items which are officially allowed to be imported from India. Latest data shows that formal trade between India and Pakistan rose to $2.7 billion in 2010-11 from $144 million in 2001, while informal trade including third country trade is estimated at $10 billion, according to a Ficci status paper. “I have no doubt in my mind that bilateral trade, which currently stands at $3 billion, can be raised to $10 billion if trade through third countries (Dubai, Singapore and Central Asian countries) is channelised into direct exchange between the two countries,” said R V Kanoria, president, Ficci. The government has undertaken a series of measures to increase bilateral trade. There is a move to open a second gate at the Attari-Wagah border, which is expected to increase the number of trucks crossing the border to 500-600 daily from 150-200 at present. Pakistan has agreed to remove restrictions on the number of commodities traded by the land route once the infrastructure in Wagah is ready, while both countries have agreed to avoid arbitrary stoppage of goods at ports. 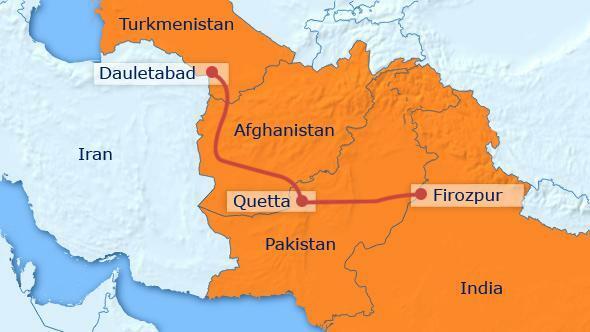 Suggestions have been made for opening up of an additional land route at Monabao-Khokhara Par on the Sindh border for faster movement of goods. “We are taking significant steps to improve the border infrastructure. India has invested nearly Rs 150 crore to develop infrastructure at the Integrated Check post near Attari,” said a senior government official. He said the visa regime for business travel is also expected to be liberalised soon with multiple entry visas for 10 Indian cities, along with exemptions for police reporting. The formal announcement is expected to be made soon. Talks to expand trade in petroleum products are progressing, while efforts are also on to start negotiations for trade in electricity between the two nuclear-armed neighbours. Both sides have agreed on grid-connectivity between Amritsar and Lahore, which would pave the way for trade of up to 500 MW of power. Trade experts said they were optimistic about the latest moves and said the effort will go a long way in helping faster regional integration. “The positive spin off for normalisation of trade is enormous. Pakistan has given signals and India now needs to take the initiative. Normalisation of bilateral trade relations will help in putting much of the political bickering on the backburner,” said Biswajit Dhar, director-general at Research and Information System for Developing Countries, an economic and trade thinktank. Experts said there was huge potential for forging joint ventures between Indian and Pakistani companies in sectors such as information technology, fish-processing, drugs and pharmaceuticals, agro chemicals, chemicals, automobile ancillary and light engineering. Pakistanis for Peace Editor’s Note– The best chance of peace between India and Pakistan can only be achieved through trade and normalization of ties. The India Show at the Lahore International Expo Centre Feb 11-13 will go a long ways to bridging the gap and move us closer to achieving peace one day, which is the best scenario for both nations long term. Calgary’s Jewish community is honouring Muslims who rescued Jews during the Holocaust. In commemoration of International Holocaust Remembrance Day, the Calgary Jewish Federation, in association with the Canadian Society for Yad Vashem, is presenting the Yad Vashem exhibition Besa: A Code of Honor — Muslim Albanians who Rescued Jews During the Holocaust. 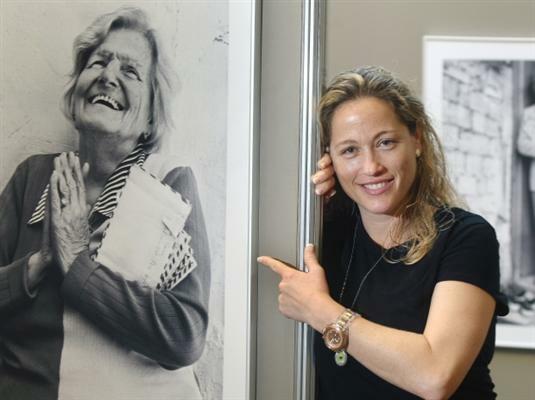 The photographic exhibition opened Friday and will remain open through Feb. 11 at the Calgary Jewish Community Centre, 1607 90th Ave. S.W. “We are very pleased to be sharing this inspiring and visually stunning exhibit with the Calgary community at large,” said Adam Singer, president of the Calgary Jewish Federation. The Calgary showing of Besa was made possible through grants from the Calgary Foundation and Citizenship and Immigration Canada. Singer said Besa means “to keep the promise” by taking responsibility for others, especially in peril. Close to 24,000 individuals from around the world have been named Righteous Among the Nations by Yad Vashem, Israel’s world centre for Holocaust research, documentation, education and commemoration. Admission is free to the exhibit and everyone is welcome. “One message, obviously, is that the Holocaust happened and it’s been recognized by the United Nations,” Singer said. “It’s important to bear in mind that as years pass and the Second World War becomes more distant in time from the present, we lose, of course, first-hand accounts. The survivors are dying off and at some point will no longer be with us. And there’s a tendency to not want to remember things like the Holocaust. That’s a natural and even normal human desire not to think about bad things that happened in the past. “So it’s critical that we take active steps to ensure that there is collective recollection of what happened. And collective recollection not only of the terrible things that were done, but also the great things. For decades, archenemies Pakistan and India have engaged in a dangerous nuclear arms race. Now they’re also competing in a more cheerful forum. The outcome will be mouthwatering curries and soothing Sufi ballads, not violent conflict. The fractious neighbors are going head-to-head in a pair of reality TV shows that pit chefs and musicians against each other. Producers hope the contests will help bridge the gulf between two nations that were born from the same womb and have been at each other’s throats ever since. But so far it hasn’t completely worked out that way. The top Pakistani chef on the cooking show, which is called Foodistan, quit the contest early. He accused the judges of bias toward India and is threatening to sue. The producers denied the allegations. Pakistan and India were founded in 1947 following the breakup of the British empire. They have fought three major wars, two of them over the disputed territory of Kashmir. The TV shows do not try to hide or brush over this painful history. They make light of it. “Now the world’s greatest rivalry is going to get spicier,” said co-host Ira Dubey during one of the early episodes of Foodistan, which first aired in India on Jan. 23 and will be shown in Pakistan starting in mid-February. Eight chefs from each country were scheduled for individual and team competitions over 26 one-hour episodes, with the winner authoring the first Foodistan cookbook and receiving a trip to three cities of his or her choice anywhere in the world. There is significant overlap in the cuisines of both countries, as there is in language, music and culture. Pakistanis and Indians both love curry, kebab and biryani – a spiced rice dish. But they often use different ingredients, and dishes can also vary from one region to another within the same country. Pakistani dishes often include beef, which is not eaten by many people in majority Hindu India for religious reasons. India has more vegetarian dishes, and the food is often cooked with ingredients like coconut milk that are rarely found in Pakistan. Many Pakistanis and Indians have missed out on enjoying the varied tastes of the other country because mutual enmity has made cross-border travel difficult. During the first cook-off on the show, filmed in New Delhi, the judges gave four chefs from each side two hours to prepare a biryani, curry, kebab and dessert. Each of the three judges gave the team’s meal a score out of 10. The judges loved the Iranian-inspired fish biryani cooked by the Pakistanis, their chicken kebab stuffed with figs, olives, bread and mango chutney, and their shahi tukda – a dessert of fried bread soaked in hot milk with spices. They scored 21 out of a possible 30, losing points because a dish of chicken in shalimar curry was a tad chewy. The Indians ended up winning the first contest by one point with a menu that included chicken tikka with truffle cream, cheese kofta in a tomato and water chestnut curry, lamb biryani and phirni – a sweet rice pudding that they topped with strawberry granita. 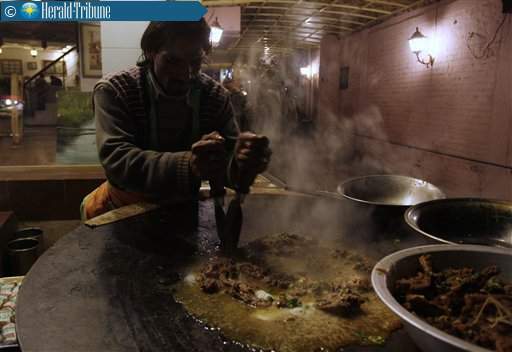 The captain of the Pakistani team, Mohammed Naeem, executive chef at the Park Plaza Hotel in Lahore, alleged the judges didn’t have enough knowledge of Pakistani food and were destined from the beginning to pick an Indian to win. The judges included a British chef, an Indian food critic and a Bollywood actress of Pakistani and French descent. Another member of the team, Akhtar Rehman, a chef at the Marriott Hotel in Islamabad, said concerns about the judges were fairly widespread on the Pakistani side, but Naeem was the only one to quit. It remains to be seen whether the music competition – Sur Kshetra, or Musical Battlefield – also will spark ill will. The contest, which is being filmed in Dubai, is scheduled to air in Pakistan and India starting in mid-February, said Mohammed Zeeshan Khan, a general manager at Pakistan’s Geo TV, which is developing the show. “Music can unite people across borders and bring them closer together,” said Khan. The competition will include teams of six musicians from each country between the ages of 18 and 27. The teams will be mentored by two well-known pop singers and actors, Pakistani Atif Aslam and Indian Himesh Reshammiya. They will compete across a range of genres, including jazz, pop, rock and qawwali – traditional Sufi Muslim ballads that are popular in both countries, said Khan. Ted Regencia is a digital media student at the Columbia Journalism School. His Twitter feed is at @tedregencia. Lindsay Minerva, a digital media student at the Columbia Graduate School of Journalism, is an intern at Newsweek. Her Twitter feed is at @lindsayminerva. Pakistanis for Peace Editor’s Note– A story like this illustrates the good in all of us. A few months ago, we highlighted an article on Heartsong Church in Cordova, Tennessee where Christians in that part of the US welcomed a Muslim community that was undergoing construction of their mosque nearby. 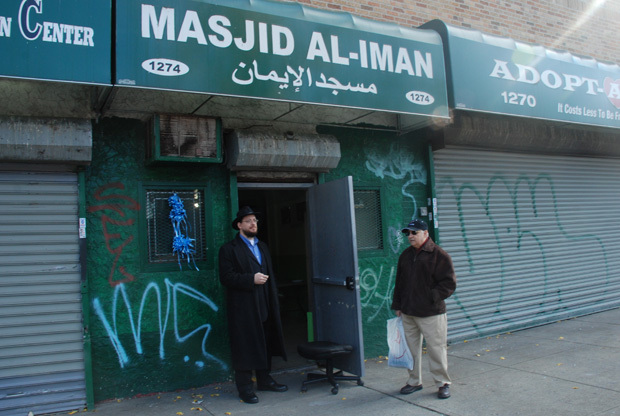 Now this kind deed is being passed forward to another flock of faithful when Muslims in New York are offering a helping hand to Jewish members of their community. This is the type of love for one another God of all religions wants and appreciates. May God bless them all.